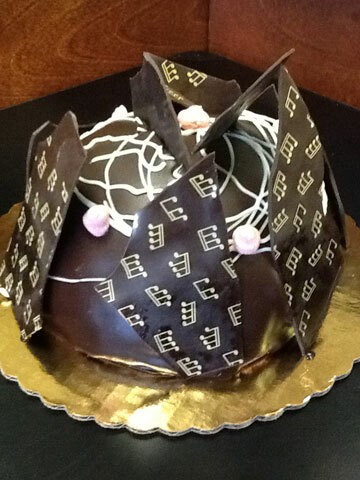 While these are not “special occasion cakes,” every time you enjoy a Jean-Claude’s cake becomes a special occasion! 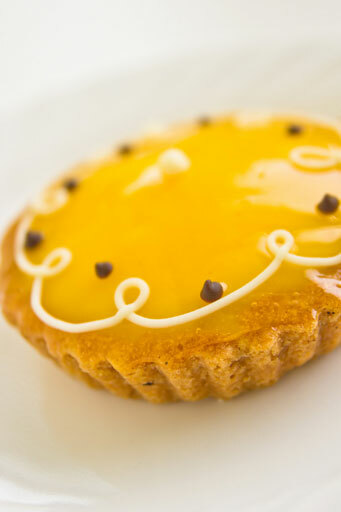 The distinctive flavors, the attention to detail – each one has its own unique and luscious appeal. 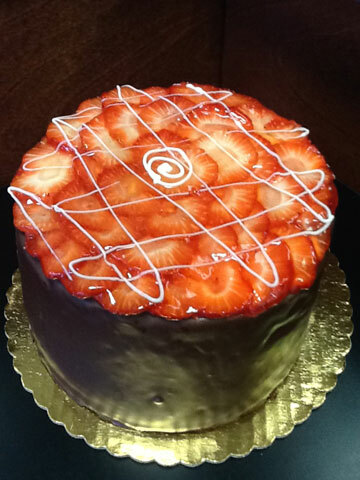 Strawberry shortcake is one of the most popular, but there are also the carrot cakes, the chocolate ganache and mousse cakes and the mocha to name just a few. 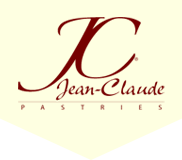 Jean-Claude uses only the freshest ingredients so you’re always assured of the highest quality. There are even flourless cakes, including the Double Chocolate Flourless Cake. 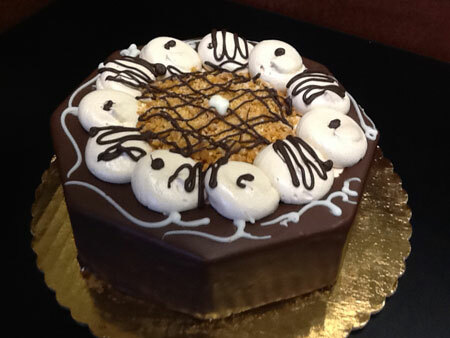 Other gluten-free cakes can be special ordered. 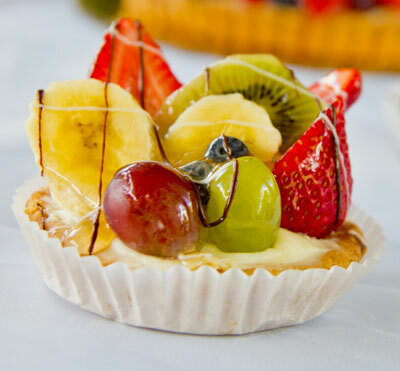 The fruit tarts use all fresh fruit, some of which is procured from local orchards in season. 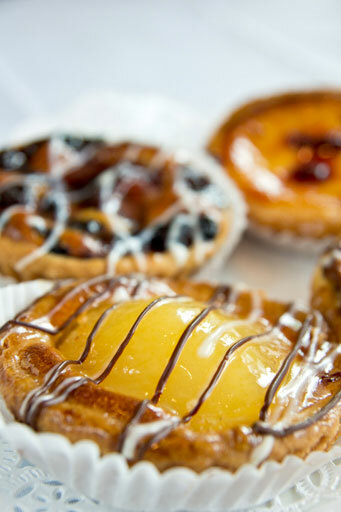 French apple tarts, blueberry tarts with almond cream and fresh blueberries, nut tarts like pecan or chocolate walnut – there is a wide variety from which to choose. "I had to write to thank you for creating such a beautiful, thoughtful and fun birthday cake! 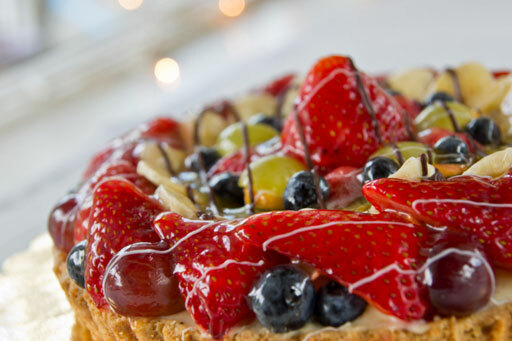 Your delicious works of art have been an important part of our lives over the years. The first was our son's first birthday cake, he's now 20!! 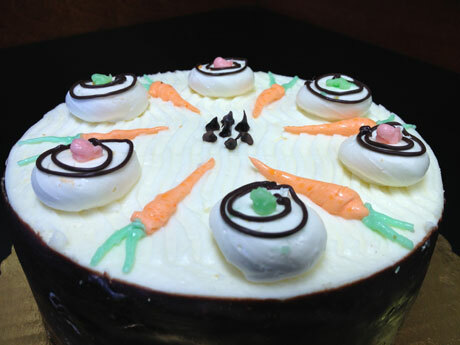 Since then there have been other milestones and celebrations with your cakes adding such delight. Thank you for being such special people and for helping us to create lasting, happy memories." - Lois Slevin, Warwick, N.Y.